When you buy a Volvo-certified pre-owned vehicle, you're not getting a mere "used car." You're getting a low-mileage example of a late model Volvo that's been rigorously checked for eligibility. Only those which pass our 170+ point inspection with clean CARFAX Vehicle History Reports and less than 80,000 miles on the odometer are worthy to be called Certified by Volvo. Certified by Volvo pre-owned models come with a five-year, unlimited-mile warranty. You can even upgrade the warranty coverage to ten years with unlimited miles. 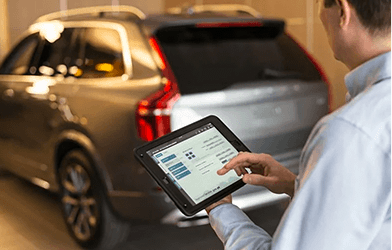 This generous factory warranty covers the replacement or repair of thousands of components, and you won't have to worry about a deductible for any warranty visit at our authorized Volvo service center in Gilbert, AZ. Among the many benefits you'll enjoy with a CPO Volvo is included roadside assistance for the duration of the warranty. It's one more example of how Volvo strives to provide you with the absolute best vehicle protection available. The included roadside assistance is there for you any time of any day and includes towing, lockout service, trip interruption benefits, emergency towing, and more. When you choose a Certified by Volvo pre-owned vehicle, you'll enjoy a variety of features and benefits that are sure to make life easier. It starts with the luxurious Scandinavian craftsmanship that makes Volvo renowned throughout the world. The intuitive infotainment hub, industry-leading safety innovation, and phenomenal performance are just the beginning. Check out our Certified by Volvo Brochure to learn more. Which Used Volvo Models Qualify To Be Certified by Volvo? To be a Certified by Volvo pre-owned model, a used Volvo must first meet strict requirements for condition, age, and mileage. Without meeting these requirements, a vehicle won't even be considered. Once these standards are met, the vehicle will then be put through an exhaustive, expert inspection that looks at over 170 points throughout the vehicle. It's only once the vehicle has passed all of this that it's able to become Certified by Volvo. 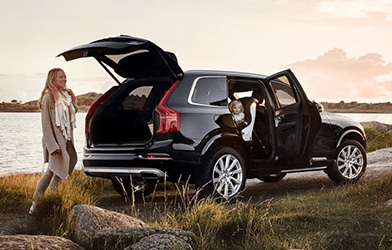 What Advantages Come With the Certified by Volvo Warranty? Depending on the date of certification, Volvo provides a 5-year warranty with unlimited mileage, 24/7 roadside assistance, and more. Additionally, there is no deductible for any warranty visits. 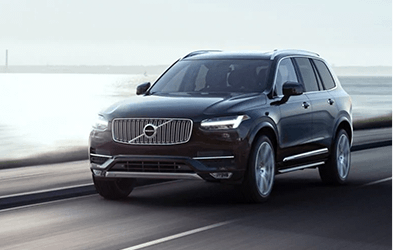 Can I Transfer a Certified by Volvo Warranty When Selling the Vehicle? Yes. After a used Volvo has been certified, the warranty stays with the vehicle. That means the warranty is fully transferable to the new owner without charge for the remainder of the warranty. Can I Extend Certified by Volvo Warranty Coverage? Yes you can. Up to an additional 10 years of coverage with unlimited mileage is available for purchase through the Volvo Increased Protection plan. This plan is available at Authorized Volvo Dealers like ours at Volvo Cars of Gilbert.